The mirror is laminated to a 24 gage pre-finished steel panel, then supported by spot welded hinges and extra heavy duty operating hardware. The clean lines and simple accents give this door timeless appeal. Built from high quality heavy extruded aluminum profiles. These materials are anodized and polished to a high gloss reflective finish or coated with a baked enamel paint finish. 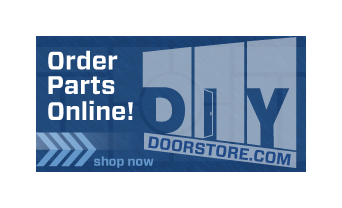 Primarily used for custom dimension openings, these doors can be manufactured quickly to nearly any size. Our finest Quality Sliding DoorsHeavy extruded aluminum profiles surround each mirror and are anodized and polished to a high gloss reflective finish or coated with a baked enamel paint finish. An edge mounted handle keeps fingerprints off the mirror, provides an uninterrupted view and allows for the interchange of panel positions. 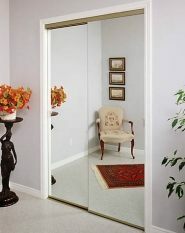 Series 6 ~ Frameless Sliding DoorOur most durable sliding mirror door. 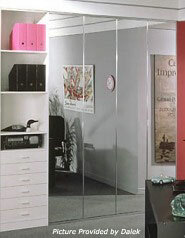 The mirror is laminated to a 24 gage pre-finished steel panel ensuring maximum safety and rigidity. Adjustable nylon ball-bearing rollers provide long life and smooth operation. The frameless mirrors provide a beautiful view. 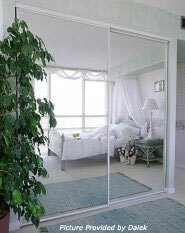 Series 7 ~ Framed Sliding DoorA great value in sliding mirror doors. Used primarily in hotel applications. The roll formed steel profiles have a durable baked enamel paint finish. Integral full-length finger pulls allow for easy operation. Our quickest and easiest to install. 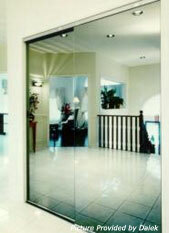 Series 8 ~ Frameless Sliding DoorAn economical frameless door. 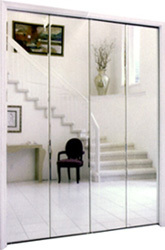 The edge-guard design protects the mirror from chipping. All profiles are made of roll formed steel, then finished with a baked on enamel paint. The door comes standard with edge mounted handles. 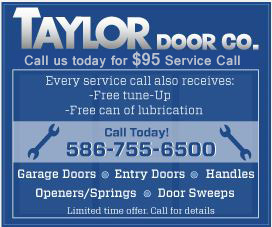 Series 9 ~ Overlay Swing DoorThe series 9 door overlaps the opening eliminating the need for a precise fit. Made of heavy extruded aluminum profiles that are anodized or painted to a brilliant finish. An optional dust seal cushions the door when closed. An integral pull is designed into the stile for easy operation. And extra wide strike plate and adjustable magnetic catch ensure the perfect fit. 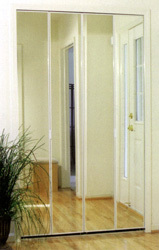 Series 10 ~ Inside Mount Swing DoorAssembled as a framed or frameless door in steel or aluminum profiles. Perfect for narrow openings. Available in one or two panels. An adjustable magnetic catch mounts to the inside of the opening.